It is always best to work from the ground up, when it comes to your garden, so that is exactly where we are going to start. Wind, rain and snow can do some dreadful things to a garden, especially to the soil. If you once had a beautifully green garden and now see nothing but mud, it may be time to lay some turf. You can use a company such as Turf Express to have whole rolls of turf delivered to your door. If you’re not keen on a green garden, then perhaps laying down concrete, paving stones or decking would be best for you. Just remember to leave some space for the greenery. Next comes the fun part; adding in some plants. Many of us could spend a fortune in garden centres, so it is important to set a budget first. You don’t want to overload the garden with hundreds of different plants, perhaps stick to a few key species and some flowers for colour. You can lay out your plants in any way you like, just try not to make it too sporadic. 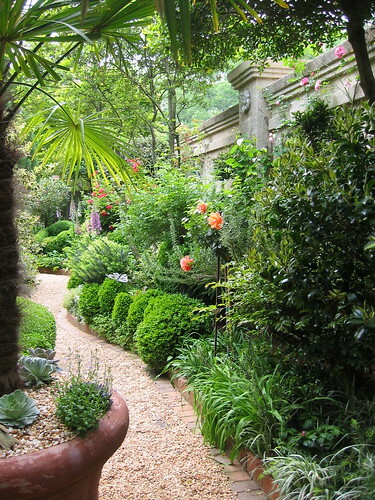 Have a look at pictures of famous gardens to see how they have been landscapes and their flowers arranged. If you’re feeling adventurous then why not plant some vegetables or herbs? A little vegetable patch at the bottom of the garden isn’t too difficult to look after and it will provide you with yummy fresh food! There is nothing prettier than a beautiful garden teeming with wildlife and it’s great for the environment too. There are plenty of ways to attract all sorts of creatures to your garden; from installing a pond to putting up a birdhouse. Don’t stretch your budget to set up a badger sanctuary in your back garden, but do see what you can do the resources you have. Wildlife in the garden is also perfect for families with children, as the little ones will adore it. You can just imagine that garden now, can’t you? Fresh turf, brightly coloured flowers and a whole host of animals frolicking around. It looks like something out of a Disney film! Now all you need to do is add the finishing touches, to make it an enjoyable place to be in Spring and Summer. Tables and chairs, barbecue equipment, parasols and solar lights are all amazing added extras for any garden. These things will turn your outside area into another room in the house; a room that you won’t ever want to leave.